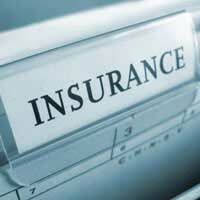 Another document that contains considerable information about you as a personal is an insurance policy. Almost all of us have insurance of some kind and it is worth remembering that when applying for insurance of any description there is a requirement by law that we share a lot of information that is considered private and confidential. These of course are just a sample of the information that is required by such organisations and there are many other questions to be completed which give a lot more information about your life. You may reasonably expect insurers to ask for details of your employment status and history, your medical history and also information pertaining to your partner or spouse especially if the nature of your insurance is that of life coverage. As technology advances and most of us now have access to the Internet either at home or at work there is a tendency to try and speed up the application process by doing so online. This is a practice that many thousands of people nationwide enter into everyday and indeed it does speed the process up. However you should exercise caution when filling out such applications online especially if the computer you are using to do so is not yours. Make sure that whichever computer you use it has the capability to cope with 128-bit encryption and also is fully installed with anti-virus software, a firewall (either hardware or software based) and Spyware software. Never complete such applications online in Internet Cafes as these computers are often used by many different users daily. Once you have completed your insurance application and it has been granted you will be given the opportunity to either download your policy – if you have paid in full online – or receive it via the postal service if you are entering into a direct debit agreement. However you have entered into this agreement you will receive a copy of your policy which will contain information such as that described previously. This information – especially in written or printed form – can be invaluable to identity fraudsters and therefore it is of the utmost importance that you keep it safe and accessible only to you and perhaps your partner. Again many people take this information for granted as being nothing more than what is required by law to determine the nature and validity of your policy. Indeed yes this information is important for that purpose but in the wrong hands it can be used for purposes of making fraudulent claims and indeed as a way of determining which vehicles – especially if in the hands of organised gangs – are worth stealing and where they can be located. If you must carry insurance paperwork in your vehicle then it is best to simply hold a copy of the policy’s front page which gives policy number, your name and address and the nature of the policy i.e. : is it fully comprehensive or third party? If you are stopped by the police then this information will be sufficient for them to complete their checks without the need to carry the fully printed policy in your vehicle. It is also worth remembering that should you need to leave your vehicle in a public place overnight or for a period of time that no such information should be left in it. A car thief can make good use of such information especially if the vehicle has been stolen without your knowledge.